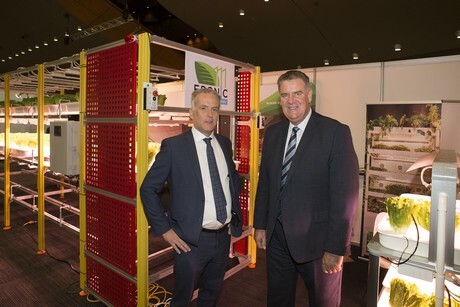 Australia’s biggest agricultural innovation trade fair, GFIA In Focus Australia, is off to a flying start, with almost 2,000 registered visitors to attend the event. Aimed at helping Australian farmers and agribusinesses improve the sustainability and sophistication of food production, a number of high-profile delegates from across Asia Pacific were also present on the first day of the Brisbane-based conference, which is intended to open up new business opportunities for Australian ag-tech suppliers and investors. Kicking off the day’s events was guest speaker The Honourable Mark Furner MP, Minister for Agricultural Industry Development and Fisheries, Queensland, who welcomed attendees during the opening ceremony. 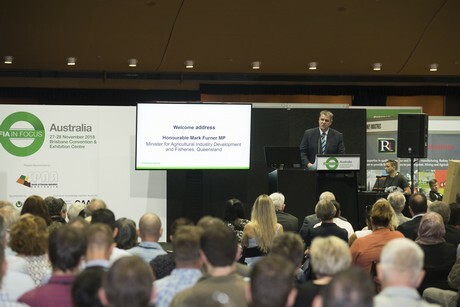 In his speech, Mr Furner acknowledged the importance of the event incorporating an impressive line-up of exhibitors showcasing innovative agricultural products and services, and high-profile speakers covering a range of topics. Mr Furner was pleased to open the event and said the Queensland Government will continue to work with innovators to grow the agricultural industry. Amongst the day’s highlights, Pete Lewis, former ABC landline producer facilitated a conference on Controlled Environments & Protected Cropping, covering topics like Automation and controlled systems – while a panel of speakers debated whether indoor and controlled environments can help feed the world, and QAAFI hosted a fascinating ‘Future farming and food’ workshop. A Precision Agriculture & Smart Farming conference looked at Precision Agriculture for livestock and farm asset management, which also debated whether a lack of visibility could be costing businesses. And in some of the most exciting highlights of the day, leading-edge agtech suppliers, entrepreneurs and scientists took to the stage to present their latest innovations ­– including Ceres Tag’s live demonstration of their Smart Ear Tags, which live-streamed the location, health and behavior of 100 cattle located some 1,000km away in northern QLD. Andrew Logan, CEO of OneCrop also presented on the magic of microclimates and revealed how to create explosive yield increases using existing water and sunlight. The day also saw the launch of AgKnowledge, the country’s first agricultural startup company investor pitch platform, which brought together universities, vocational education organisations and colleges, private and public research institutions, professional services organisations, centers of agri-learning / capacity enhancement, agri-tech startup companies and agribusiness sector investors.